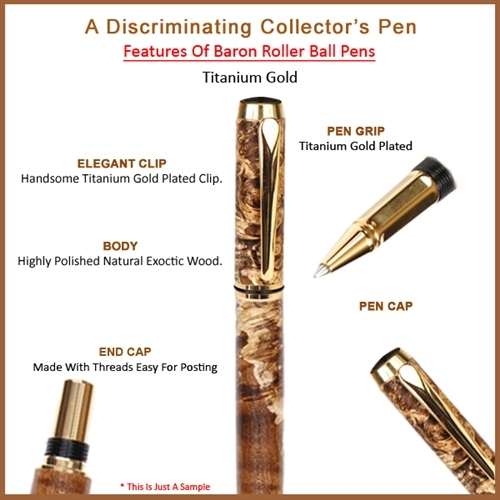 The Baron Rollerball Pen was designed with discriminating collectors in mind. It is manufactured out of the highest quality Titanium Gold plated components. The body is handcrafted out of select Curly Hawaiian Koa and polished to perfection. This design features ultra smooth and durable threading and is simply a great looking pen. Accepts universal size Rollerball refills. The Baron Rollerball Pen is handcrafted by Lanier Pens of out select exotic woods and may very slightly from the shown image. 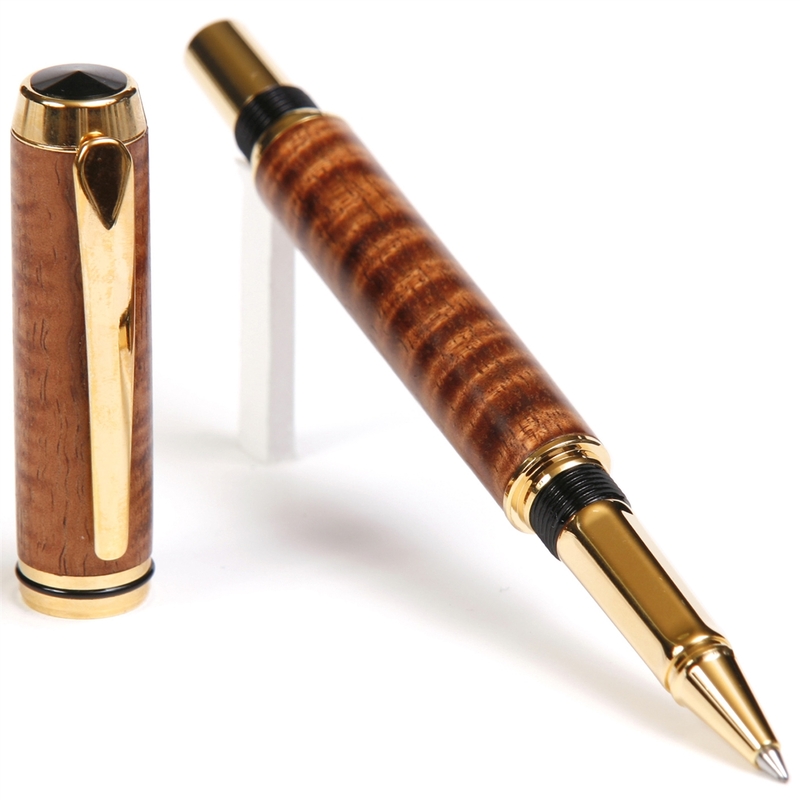 The stunning blend of handcrafted Curly Hawaiian Koa, Titanium Gold plated components and a top quality German-made Metal Body Schmidt 5888 refill with a Safely Ceramic ball ensures a smooth and dependable writing experience. Optional nib sizes available.